Pope Francis is reportedly preparing a major world statement about extraterrestrial life and its theological implications. Rosana Ubanell from Voxxi News today reported that due to advances in scientific detection methods for the discovery of extraterrestrial life, Pope Francis wants to be ready with a statement about “First Contact”. Ubanell reports that details have yet to be officially announced but that the Vatican’s interest in extraterrestrial life is well documented through recent astrobiology conferences the Vatican Observatory has sponsored or participated in. Father Guy Consolmagno, a Jesuit astronomer and one of the leading Catholic proponents for preparing for the scientific discovery of extraterrestrial life, on July 18, won the Carl Sagan science medal from the American Astronomical Society. Pope Francis, a fellow Jesuit, regularly consults with Consolmagno and other leading Vatican astronomers about scientific issues.It is likely that Pope Francis is preparing an “Urbi et Orbi” speech – Latin for “to the city [of Rome] and the world” – about First Contact with extraterrestrial life. If Pope Francis is indeed preparing a statement about extraterrestrial life, it is likely to emphasize that there is no incompatibility in Christian teachings with a belief in extraterrestrial life as Fr.Funes proposed in May 2008. More importantly, Pope Francis is likely to emphasize themes of extraterrestrials: not sharing in original sin; being more ethically evolved; and being capable of sharing the Christian message, and being our brothers. Not all will welcome a statement from Pope Francis advocating extraterrestrials as brothers and worthy of being baptized into the Christian faith. 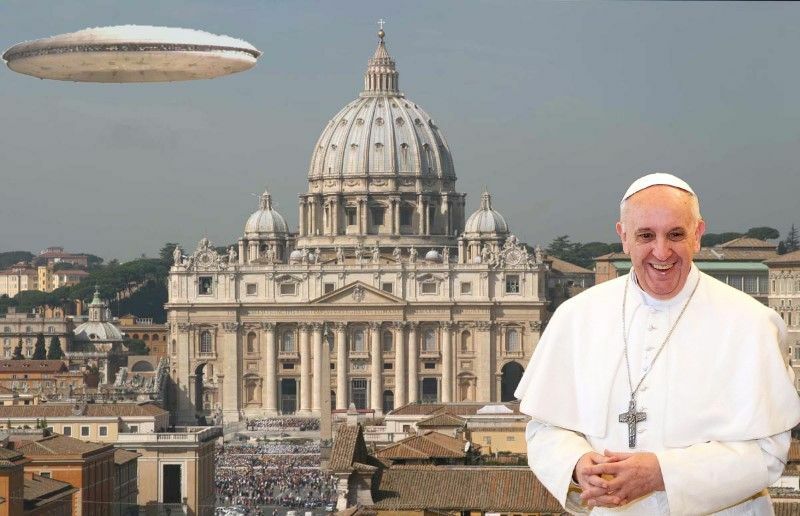 According to Chris Putnam and Tom Horn, authors ofExovaticana, Pope Francis I is preparing to lead the Catholic Church to embrace aliens as “brothers in Christ” – reflective of the 1950s and 1960s contactee reports of benevolent “space brothers.” Putnam’s and Horn’s Exovaticana portends a future religious war between those accepting extraterrestrials as “brothers in Christ” and those believing them to be returning demons about to enslave us. Despite the extensive scholarship found in Exovaticana, it unfortunately skews data towards an overly negative assessment of the motivations of extraterrestrial visitors. Thankfully, the Vatican’s evolving public position, as reflected by statements from its leading astronomers, shows a far more enlightened stance on how to consider the discovery of alien life from a theological perspective. A statement or “Urbi et Orbi” speech from Pope Francis expounding on various themes associated with the view that extraterrestrials are potential “brothers in Christ’ is a welcome position to take on a controversial issue with major world significance.